Viola d’amore, yay! (just look at that beautiful instrument, wish I had one!) Check out Dr Baldwin’s fascinating and informative post about how he came to purchase a viola d’amore after a 35 year break. 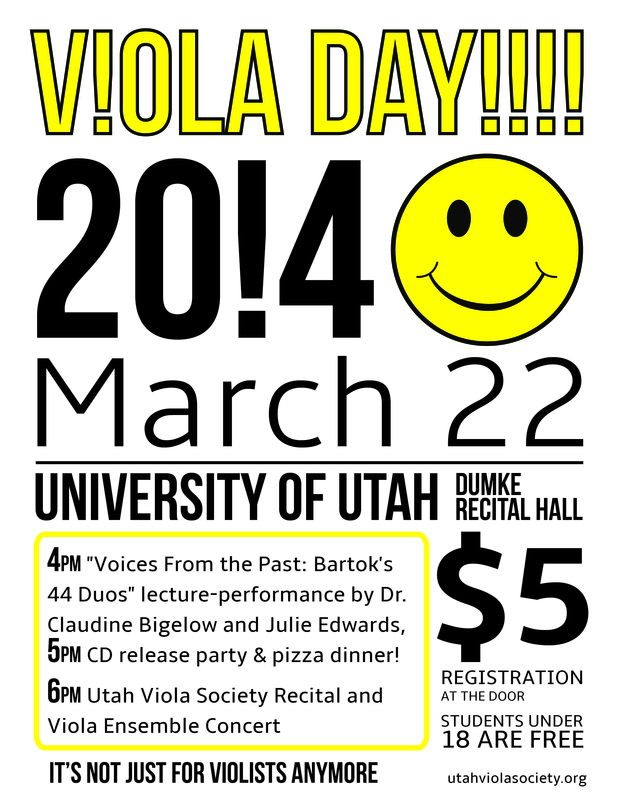 Don’t miss your chance to see a real live viola d’amore in concert on Viola Day 2014! 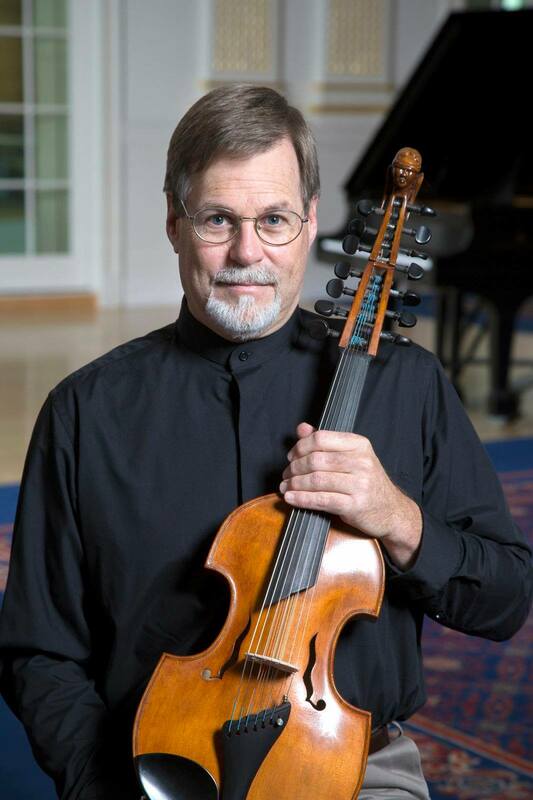 If you can’t make it, there are some other chances to see Dr. Baldwin perform viola d’amore this spring, including Wasatch Mountain Camerata on April 21, 2014, and April 27 at the Sundays at 7 concert at U of U. Check out the Concert Schedule tab on his website for more dates! He is originally from Colorado Springs, Colorado. He is currently the Director of Orchestras at the U of U and Conductor of the Salt Lake Symphony. He recently performed Time Warp from Rocky Horror Picture Show dressed as Captain Kirk. AND he plays the Viola d’Amore! Tatjana Mead Chamis will return to Utah in March to give a recital at the University of Utah. Her recital will be a scholarship benefit concert in honor of former Utah Symphony violist and Adjunct Professor of viola and chamber music at University of Utah. Additionally, she will also be giving a masterclass at BYU on Tuesday March 4, 5:00-7:00. We will start at 3:00 with a meeting, please come early and be a part of this. Because of our change of relationship with the AVS, there is a certain amount of reorganizing that needs to be done. I think we have some good ideas, but in order to have a society which can serve and inspire our members, we need input from each one of you. At 4:00 Dr. Claudine Bigelow will be presenting her fascinating project on Bela Bartok and his 44 duos. She has been able to use Bartok’s own historic field recordings, pairing Bartok’s compositions with their inspiration from folk sources. The presentation will include live performances with the aid Utah Symphony violist Julie Edwards. Claudine has produced a CD from this project, and at 5:00 we will host a CD release party and pizza dinner for all attendees. This is our chance to all get together – it should be a lot of fun, and a good chance to support a worthwhile creative endeavor! The Utah Viola Society Recital will begin at 6:00, featuring solo and sonata performances from many of your friends and colleagues. This will be a full-length recital with intermission. Afterward, we will take a short break and finish with the Viola Ensemble Concert, with groups from the Utah Symphony Viola Section, Chamber Orchestra Ogden, and the several of the area universities.